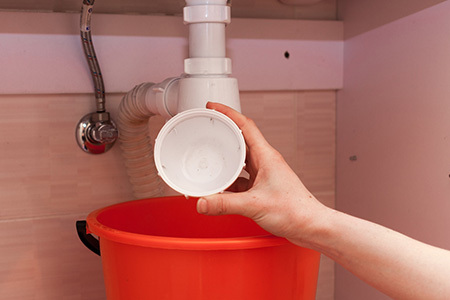 Why not let an experienced handyman re-seal the basin or sink for you? Not many stops to think what the long-term consequences of damaged sealant around the sink can be. The seemingly minor problem may lead to more severe leaks, warped countertop, and even – to structural damage in your kitchen or bathroom. Things can only get worse by the minute, so don’t hesitate and ignore the issue. The practised hands of Handyman near Me guarantee you a neat and clean application of a watertight bead of silicone sealant. Enjoy the flawlessly renewed sealant of your sink and or basin done by the best handymen in London! After a few years of use, the silicone sealant around the bathroom basin starts wearing out, and you can quickly notice mould build-ups. If you postpone replacing the silicone seal, this can result in leaks, structural damage in your bathroom and even escalated mould growth. Book Handyman Near Me to ensure a fast and high-quality basin re-sealing service. We will replace the old sealant with a new one. Our handymen can use transparent or white watertight professional grade silicone to make sure it fits the design of the basin and bathroom. Silicone sealant around the kitchen sinks often looks worn-out and mouldy after a few years of use. This issue leads to leaks and can result in structural damage to the kitchen counter. Our skilled handymen can remove the old sealant and apply a new, watertight joint between the sink and the countertop. This way you can enjoy a leak-free kitchen and the neat appearance of your sink.